If you don’t have the budget to replace your boiler outright it can be tempting to turn to the cheaper boilers on the market to cut costs in the short term. However, this can mean you end up spending more on repairs and, if the boiler isn’t operating at a high efficiency, higher heating bills in the long run. Boilers on finance can give you access to models with the highest efficiency levels and top quality technology without the hefty upfront expense. We can help you get a boiler finance quote really easily. Depending on your circumstances, there are several options available to help you benefit from a boiler replacement, we’re going to take you through 3 of the most common methods of paying for a new boiler. If you don’t have the financial means to purchase a boiler replacement upfront, there’s always the option of purchasing a boiler on finance. This is also known as paying for a boiler by installments so you can spread the cost over a period of time to suit your budget. After all, when it comes to expensive purchases, for many people buying something on finance isn’t just an option; it’s the only option, particularly when money is very tight. And boilers are no exception. And the good news is that there are new boiler offers available. In some cases, it may be possible to find interest free boiler finance, but some may involve high interest rates so make sure you always read the small print! By paying for a boiler through monthly instalments you can add it to the budget for all your other commitments like utility bills, food or mortgage payments. How Does Boiler Finance Work? In order to apply for boiler finance you’ll need to apply as you would for any credit agreement. Your personal details will be checked including your credit rating to ensure you can afford to keep up with the monthly repayments. If your application is successful the lender will pay for the upfront costs of the installation of your new boiler. You will then pay the lender back over a pre-agreed period of time. Some schemes will ask for a deposit towards the boiler while others may not. The interest you will pay back will also vary from provider to provider. Before signing any contract make sure you’ve done your research and compared all the options open to you. It will more than likely be a long term agreement and that is not something to be entered into without due consideration. How Much is Boiler Finance? The monthly payments you make will vary depending on the amount of money you need to borrow for your new boiler, what period of time you want to make the payments over and the finance provider you choose. One of the most popular searches people make is ‘can I get a boiler replacement at £17 per month?’ and whilst the answer is yes, you really need to dig into the figures to see if the cheapest option is the best one for you, as you can end up paying a lot more for your boiler the longer you are paying it back. To give you an overview of the kind of figures you could be looking at we’ve put together a few representative examples. The below table shows the monthly payments* you would make over both a 3 year and a 10 year plan based on a total boiler installation price of £2,246 (interest rate per annum = 12.2%, representative APR = 12.9%). If you want to get a quote for boiler finance, the big energy providers including British Gas, E.ON and many others now offer customers a range of payment options for a new boiler, including flexible monthly payments. There are also companies which specialise in boiler installations for a set monthly fee and no upfront cost. For example, for as little as £17 a month you can get a brand new A-rated Worcester Bosch boiler, complete with a 10 year manufacturer backed warranty. You’ll need to come up with around £500 as a deposit though, and you’ll be tied into making payments for 10 years. With a typical APR of 11.9%, on a boiler costing approximately £1,800, you’ll end up paying around £2,600. *Please note these figures are representative examples only and are not intended as quotes. All finance options are subject to status and credit checks. Some companies will even have new boiler offers such as Buy Now, Pay Later. This means that after making an initial deposit (usually around 10%) your new boiler will be installed but you won’t have to pay anything else for another 12 months. After the 12 months (or whatever time period has been agreed) you can either pay the remaining balance in full or pay monthly for a 3, 5 or 10 year period. An alternative to straightforward finance is to bundle all your boiler, maintenance, installation and servicing costs up into one easy to manage low fixed monthly payment without any upfront costs. You don’t just get the latest boiler and a Magnaclean complete central heating system flush, this pay monthly scheme means all components and labour are inclusive – so no nasty surprises and some may even throw in a smart thermostat so you can regulate your central heating on the move. One important thing to remember: with these sort of finance schemes, if you decide to move home you’ll still be tied in to making the payments for the length of the finance agreement. There are interest free boiler replacement deals available in some cases, mainly from local heating engineers but you can find that some energy suppliers offer them too. This means that you can spread the cost of a new boiler over a few years with 0% interest. There are multiple arrangements when looking into payments from 0% boiler finance, boiler replacement loans to boiler rental schemes. Can afford to pay for the cost of a new boiler installation upfront. You will own the boiler outright and won’t be tied into long term financial contract that will continue even if you move home. Plus, boiler finance arrangements will mean you pay a higher price for the boiler overall. Are eligible for the government’s free boiler grants scheme. This scheme provides funding to enable low income households to improve the energy efficiency of their home and lower their heating bills. If you qualify you could have a brand new boiler installed completely free of charge or at a significantly lower cost. If you have a bad credit rating, don’t let that put you off looking into the possibility of getting a new boiler on finance. 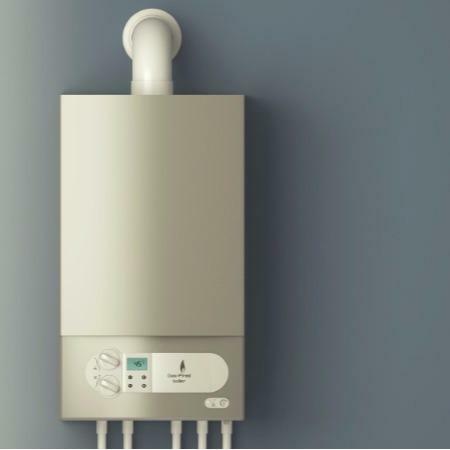 There are some companies who make boiler finance available to anyone with poor credit, although you might need to pay a deposit upfront or have a higher interest rate on the monthly payments. Should you not be able to get boiler finance due to your credit rating, then you might need to pay cash upfront for your new boiler if possible. A home improvement loan is an ideal solution for homeowners looking to make their home a more comfortable place to live while also potentially increasing the value of their home. It’s possible to take out a loan of up to £15,000 that you can return with fixed payments over 1, 3 or 5 years. The shorter the timescale, the less interest you’ll have to pay on the original loan. If you can afford to pay for a new boiler outright, then you can pay in full with one lump sum. Taking out finance, paying in installments or a pay monthly plan means you’ll pay more overall for it in the end. However, the average cost of boiler replacement is around £2,500 so it’s certainly not cheap and the prospect of paying for a new boiler in one lump sum isn’t an option for everyone. You may choose to raid your savings or offload the cost onto a personal credit card but, as we’re sure you’re aware, charges will apply if you don’t pay it off! 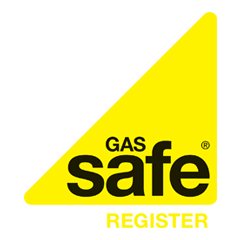 We can provide you with free new boiler quotes from Boiler Guide’s heating engineers, all of whom are Gas Safe registered. Once you’ve entered your details, we’ll arrange for up to 3 engineers to contact you to arrange a suitable time to provide you with a quote. You then compare quotes and choose the one which suits you best.